The following four links take you to the websites of the four wonderful musicians on my CD Next Set: Wally West, tenor saxophone; Stephen Anderson, piano; Steve Haines, bass; and Thomas Taylor, drums. Please take a minute to check out these great artists and people. I am an artist-clinician for Bach and Selmer-Paris trumpets. Please check with the Conn-Selmer Corporation for assistance in sponsoring my clinic or concert appearance at your school or with your organization. The links below are those used to inquire about support for clinicians. 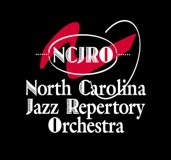 The North Carolina Jazz Repertory Orchestra was founded by Jim Ketch and Gregg Gelb in 1993. The orchestra maintains a repertory that spans the 1920s and King Oliver and Jelly Roll Morton to the rich literature created and made famous by Duke Ellington, Count Basie, Benny Goodman, Thad Jones and others, to the current big band compositions by our leading composers and arrangers of today. We embrace tradition and look forward to commissioning new works by regional and national composers. Please visit our link below. I am so very grateful for the amazing photos that Steve Bromberg has shared with me over the years. His website offers wonderful evidence of how Steve "solos" with his camera. His images capture music, movement, respect, honesty, concentration, and connection. The music is in good hands through Steve's eyes! Give yourself the gift of checking out Steve's photographs on his website listed below. "My goal as a jazz photographer is to capture the intensity and emotion of the musicians and singers." Jamey Aebersold is a pioneer in the field of jazz education. A brilliant performer and astute teacher, Jamey has created a vast library of play-along recordings and texts designed to make accessible to everyone on the planet a first class rhythm section. His famous Summer Jazz Workshop is in the business of “changing people’s lives” through the joys of improvisation and making music with new and old friends. Visit his website to review the most extensive library of jazz education materials available. I feel privileged to have done my graduate training under the guidance of David Hickman, one of the premier trumpet artist-teachers in the world. David has created an exceptional web business to support the serious trumpet and brass student/performer, and I invite you to check out his website. The Savannah Music Festival combines performance and education in remarkable ways. I am pleased to work as a faculty-artist-consultant to Swing Central, the SMF’s jazz education program centered on reaching out to the most outstanding high school jazz ensembles in the nation and providing them with an exciting adjudication and jazz education experience with the likes of Marcus Roberts, Wycliffe Gordon, John Clayton, and others. Please check out the website for the Savannah Music Festival and Swing Central. Jazz has no better ambassador than Willie Thomas. Known affectionately as “Uncle Willie”, Willie Thomas, at age 80 and going strong, is still a profoundly gifted bebop trumpeter with facility and ideas that reminds one of Clifford and Fats. But what really is exciting is his approach to teaching jazz. Willie has developed an improvisational system where pentatonic pairs form very logical cell groups that lend themselves to chromatic ornamentation. The proof in his system emerges quickly when you hear Willie improvise over Cherokee and Giant Steps with ease and agility. Check out www.jazzeveryone.com some materials are free and for a small fee very hip materials are accessed.